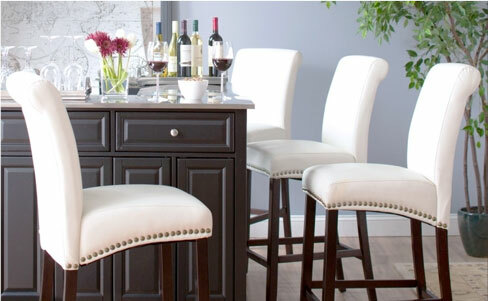 Alfa Barstools offers a great selection of seating options for your kitchen counter, island, or bar. 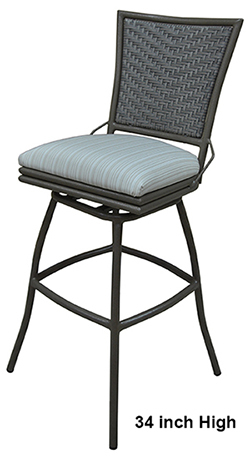 We have swivel barstool options in a myriad of choices. 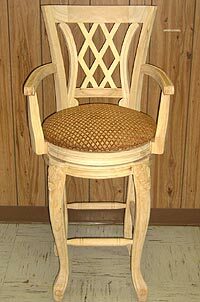 We serve residential and commercial customers who want great quality barstools that they can order online. We ship nationwide and offer an excellent selection and unbeatable pricing. 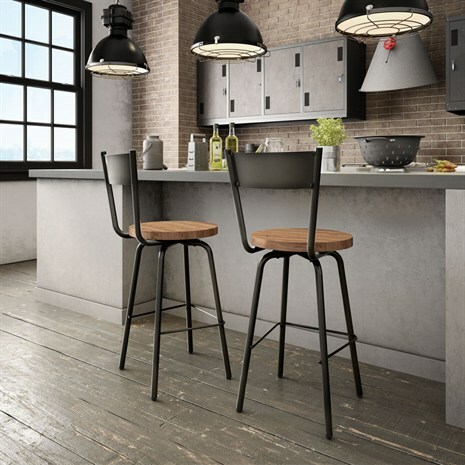 Are you weighing the pros and cons between swivel barstools and stationary barstools? 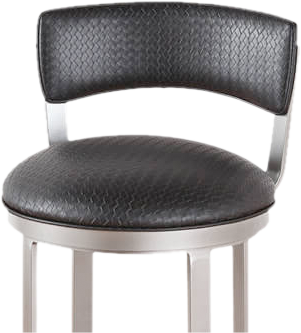 Swivel barstools are one of our most popular features among the brand name and custom bar stools we sell. Where mobility is important, swivel stools are very versatile. 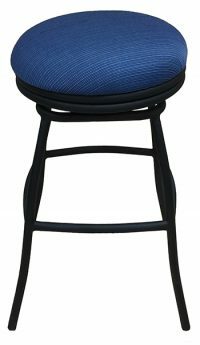 Extra tall stool, such as with spectator seating, tend to be swivel and / or swivel and tilt stools as people watch events. In homes, swivel options are very popular in open plan homes where you might have a live-in kitchen, for instance, that has a counter or island that delineates other space. With a swivel option on a counter height stool, you can be facing that counter or island or swivel to face a different direction, which might face a television or the general living space. Prefer stationary barstools that do not swivel? That’s something we can help with, too. 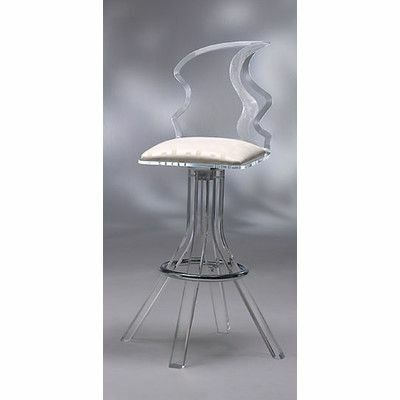 In the list of swivel barstools we sell, there are a variety of other features you can choose from as well. 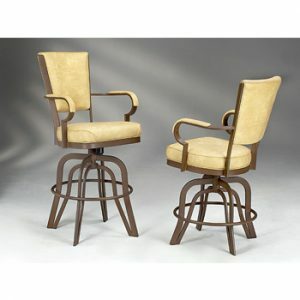 Swivel stools can come with or without backs. 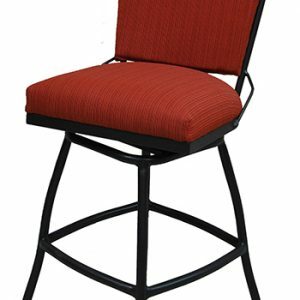 You can have them in a high back or low back option and you can choose your swivel barstool with or without footrests and arms. 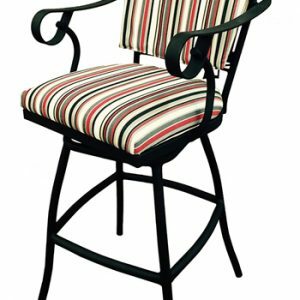 They are available at varying height as well as in adjustable heights so that you can choose the barstool that best suits your needs. 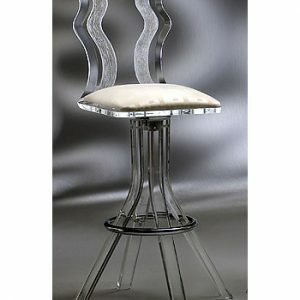 Our most popular sizes are 24 inch, 26 inch counter height stools, as well as 30 inch options. 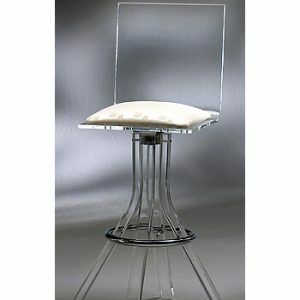 We also offer 34 inch spectator height and 36 inch extra tall indoor barstools and outdoor barstools. When you buy a barstool with swivel option you can also opt for one with memory return. This means the stool will spring back to its original position after the person swiveling releases. This is a desired feature in commercial establishments, in particular, because the stools won’t have to be manually moved so that they all face the same direction. 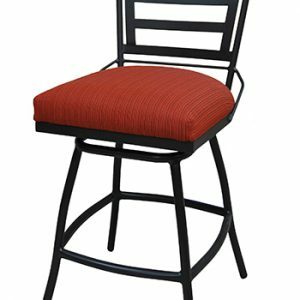 We sell great bar and counter height stools with just about every feature available, including swivel barstools with and without memory return. We sell to residential and commercial customers, including: bars, upscale lounges, gentlemen’s clubs, and more. 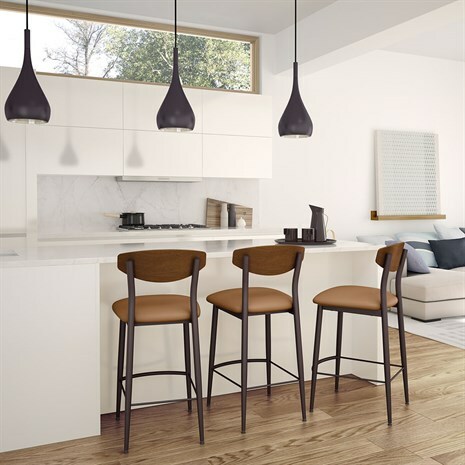 Whether you are looking for counter-height, spectator height, or adjustable stools and regardless of the feature you want, Alfa Barstools has a great reputation that spans more than 25 years. We built our reputation on value / price, on comfort, on quality, and customer service. 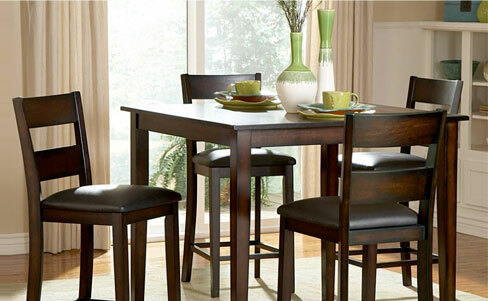 We look forward to helping you find perfect stools for your home or business.